You know world history is important. You believe God’s hand is in it. and teach it the way you want. and author insights from a Biblical worldview (think apologetics). You can access these professionally edited videos from any of your personal electronic devices—at any time in the course of one year—to supplement your world history studies. We recommend watching a single video after reading or listening to the lesson it pertains to. 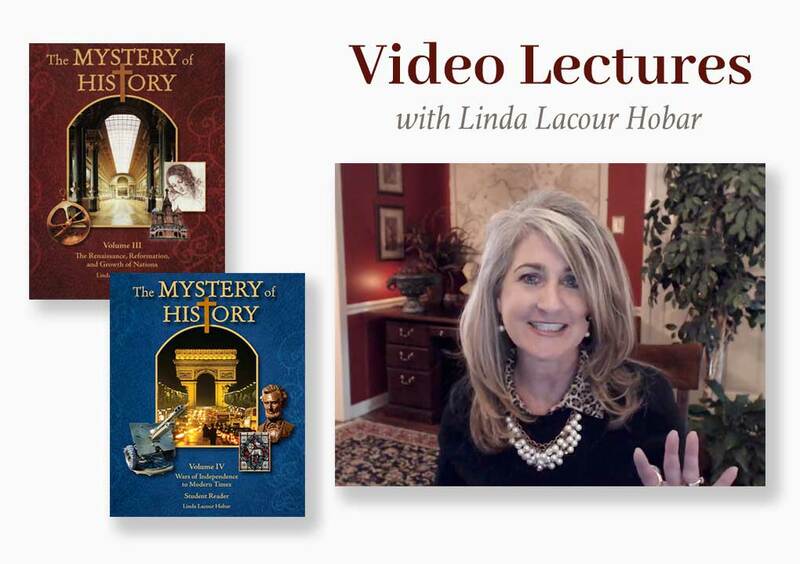 The history lecture, with embedded Power Point slides and on location films by the author, are designed to build and complement the material in The Mystery of History text, but not to replace it. Through our exclusive membership, families have two subscription options to access the videos for one year. strengthen the Christian worldview of the growing student. “Thank you so so much for being such an amazing teacher! You changed my resolution of not liking World History. I can say with full confidence that I have gained such a new sense of appreciation and respect for it!” Isabelle U. “God has given you a true gift of teaching so thank YOU for such a great year. History has really come to life because of this class!” Rebecca H.
History is a significant subject—that we desperately need to understand! Let the author of The Mystery of History help you embrace it with confidence, historical accuracy, and Biblical conviction. *If interested in attending a Live or Self-paced online class, from which these videos are derived, please click on the link below for The Academy at Bright Ideas Press.